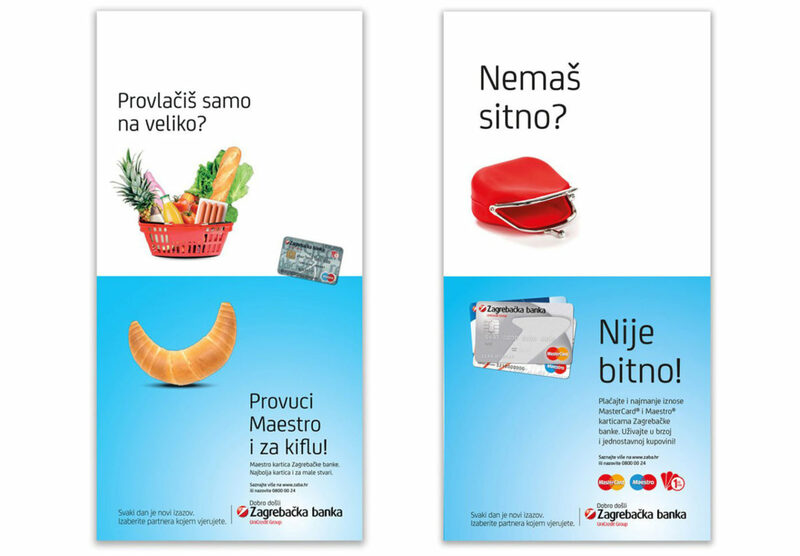 Creating visual and verbal communication for various products, according to the standards of Zagrebačka banka was a challenge full of ups and downs. 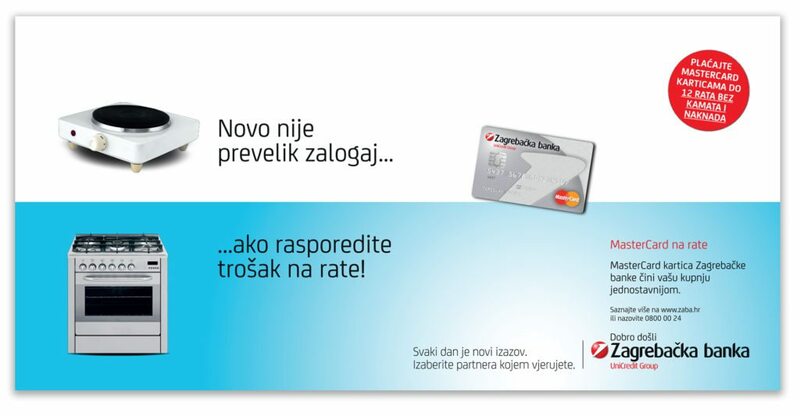 Zagrebačka banka is the leading bank in Croatia and, as a member of UniCredit Group, it has clear advertising guidelines. The bank’s marketing strategy is perfectly summarized in the brand’s signature – “Life is full of ups and downs. We’re there for both.” No matter what happens, whether it’s an “upper” or a “downer”, Zagrebačka banka promises to offer help to its clients. The bank understands people’s real life challenges, opportunities and needs, and strives to send that message in its ads. Therefore, our job was to find consumer insight for this particular campaign and turn it into witty headlines and visuals, as well as to communicate the product benefits and a positive image of the bank. 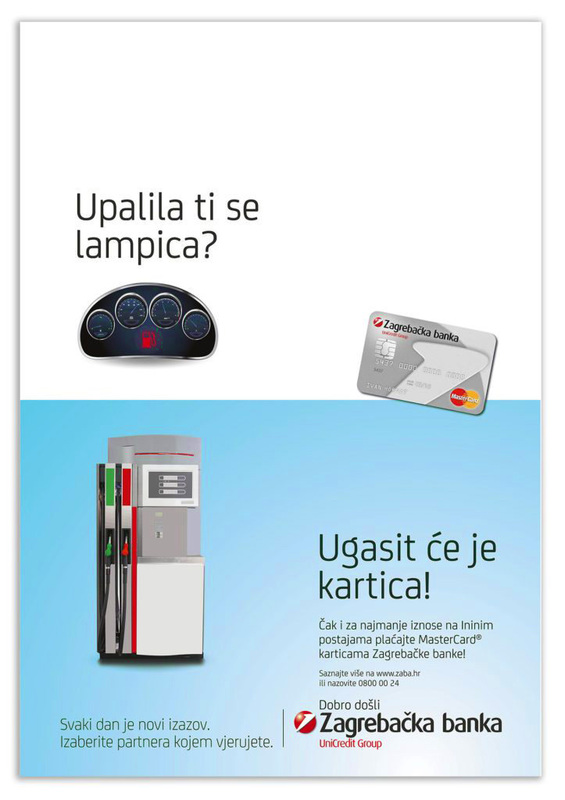 From supermarkets to gas stations and the biggest Croatian airport, just like Zagrebačka banka, we had a solution for each challenge.